A more sanitary method of sample collecting compared to blood and urine tests. 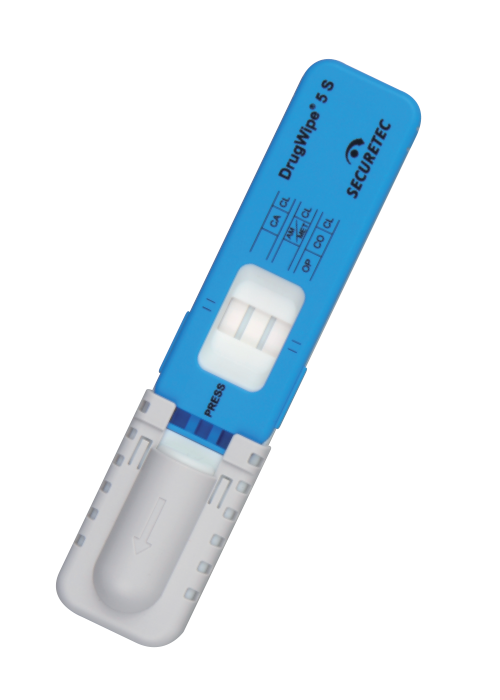 The DrugWipe® S requires the lowest sampling volume in the industry, making it ideal for the highest accuracy. DrugWipe® is the leading choice for law enforcement, border control, rehabilitation clinics and prison systems worldwide. The test starts as soon as you break the integrated glass and release the liquid. The liquid helps the drug particles that are bound to the antibodies on the test strip migrate to the test line. A sequence of red lines appears on the readout window, depending on the results. 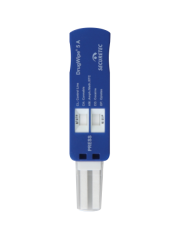 DrugWipe S provides accurate results with distinctive red test lines that appear even for slight traces of drugs. High specificity and reliability (over 95%) as confirmed by laboratory studies. What drugs does it detect? DrugWipe S detects multiple controlled substances: Cannabis, amphetamine, methamphetamines, cocaine, opiates, ketamine and benzodiazepines. DrugWipe S contains a quality control line (CL) that authenticates functionality. All control lines must turn red after the test to ensure validity. 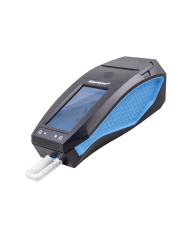 WipeAlyser is a portable analysis device for the detection of drugs in combination with DrugWipe® S. Ideal for roadside screening and drug screening in the workplace.